Ms. Tammy L. Champion's experience in the environmental field began with AAA Environmental in 1988. Ms. Champion worked with AAA in completing over 100 original EPA-AHERA Inspections for Private and Christian Schools, along with numerous industrial facilities. Ms. Champion had an absence from AAA from 1994 to 2004 but worked in the waste disposal industry during that period. 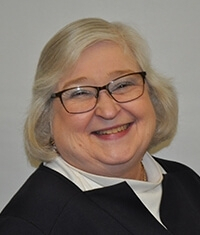 As a Senior Instructor, Ms. Champion utilizes her years of field experience, as an experienced asbestos air monitor and asbestos inspector, to provide work-related examples to the classroom. These real-life projects help Ms. Champion establish a working relationship with the students. Ms. Champion other duties include maintaining AAA's accounts receivables.